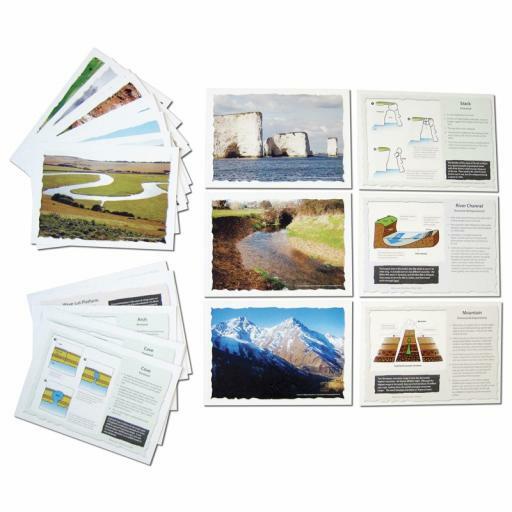 A set of 20 A5 cards each depicting a colour photograph of a specific geographical feature or landform. On the reverse of the image is a simple step-by-step explanation of how the feature is formed, and an annotated sketch. These cards can be used for display purposes, and supporting often difficult geographical concepts. They are ideal for the non-geography specialist.